This article is a further investigation into a recent story I reported on which was based on a trusted Japanese source. The Japanese government may have been involved in hanky-panky by using dengue fever in order to scare the public away from gathering in Tokyo's major parks and prevent any huge anti-nuclear protests from occurring (1). I mistakenly reported in the original article that the date of the protest to be held was September 27th, when in fact it was to be on the 23rd. This makes it even more plausible that the government was using the summer dengue to prevent any mass meetings from occurring. The article, “The truth about a dengue fever report,” was originally written in Japanese but has been machine translated (2). Some of the syntax is flawed and unreadable but it is readable overall and I relied on my source (a Japanese person I have known many years) to interpret the original Japanese for accuracy. If you visit the article you will see crucial information contained in the first chart shown, which according to my source is from the Japanese Ministry of Health and Welfare (although it does not appear to be labeled). The upshot is that since dengue fever has been occurring on a year to year basis in the Tokyo region, it is very odd that all of a sudden, out of the blue, the government has decided to shut the parks, and that they would point the finger at Yoyogi Park as being the main culprit in spreading dengue fever -- the very park where the important anti-nuclear protest was to occur. According to my source the Ministry of Health and Welfare data show there are many cases of domestic dengue fever every year. Yet the media is lying when they say there have not been any domestic cases for several decades, only imported ones. I have not verified this claim. Could it be the media are intentionally misreporting the dengue issue as part of Prime Minister Abe's nuclear restart and militarism agenda? My source explained that the media is being quiet about the restart of the nuclear reactors in order to be careful as to not raise awareness of the issue while Abe quietly sneaks his nuke agenda through. People lead busy lives and for many amnesia has set in when it comes to recalling the Fukushima nuclear disaster. Amnesia and propaganda telling the public that restarting the nuclear power plants is necessary for their survival softens the public's previous stiff opposition. For example, a TV Asahi news show posted a very strange caption on the screen at the end of one of their recent broadcasts, which translated into rough English: “Nuclear power plant disaster-related news was not able to be broadcast today...It is because [we ran out of time]. [We are] sorry for that.” (Ibid). Are you kidding me? But when a Japanese tennis player makes the finals of the US Open or a teen pop star has a breast implant that “news” can garner endless hours of TV “news” coverage. Bread and Circuses as usual. SHHH! Earlier in the year the government began its crack-down on freedom of the press as Abe sought to wine and dine and dominate all of the major media outlets in Japan (3). "Apparently NHK is leaning toward the government, and increasingly neglecting its responsibility to check authority," said Yasuhiko Tajima, a media law professor at Sophia University in Tokyo. "I even feel democracy is at risk" (4). Not even Japanese comic books are allowed to print the truth! (5) Comedy has always been one of the backdoors for truth tellers in oppressive societies, if we could ask the late comedian Bill Hicks, I bet he'd agree (Listen from the 4 min. 20 second mark; 6). Recently the Asahi Shimbun has been attacked for its supposed faulty reporting on a variety of political issues. 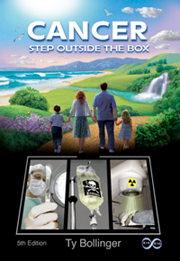 [One] story in question stated that about 90 percent of the employees at the Fukushima No. 1 nuclear plant defied an order from the late plant boss Masao Yoshida and fled to the nearby Fukushima No. 2 plant as the triple meltdown was unfolding (7). The Yoshida account was both truthful, from a management point of view, but also was a bit self-congratulating on his part. Ascribing motives as to why people left the plant (and exactly when different workers left, as some departed on the 12th and more on the 15th) is difficult because the original workers have not been heard from and their accounts are missing. The Yoshida account is very useful, but it does not tell the whole story from different perspectives as to what happened at Fukushima during the accident. Firing the Asahi editor, however, is too much given the gray area and must have been done under government pressure from high bureaucrats (personal email communication, September 12, 2014). I believe it has been common practice in some African countries for a dictator to arrest an opposition newspaper editor who editorializes in favor of a rival candidate. The editor or journalist is beaten within an inch of his life and thrown into a rotting jail cell. If he is lucky they don't cut off his head. In essence, there is no difference between the two approaches, they both destroy free speech and democracy. Two trillion becquerels of radioactive material may have escaped No. 1. Some 2 trillion becquerels of strontium-90 and cesium-137 may have flowed into the bay of Tokyo Electric Power Co.’s [Tepco] crippled Fukushima No. 1 plant during the 10 months to May this year, it was learned Sunday. The amount exceeds by 10 times the limit of radioactive material releases Tepco set before the March 2011 meltdown accident at the power plant in Fukushima Prefecture (9). It is reported as if the Japan Times is exposing Tepco's failed promises, yet the Japan Times itself is covering up facts that even Tepco reluctantly admitted. Thanks goes to the website Simply Info, who actually read Tepco reports. ...[W]e reported on TEPCO's admission of ongoing daily sea releases of contaminated water to the Pacific. The TEPCO rep in the press conference cited the tritium level as being 1 billion becquerels per day. The graph submitted by TEPCO to METI showed a quite different amount for the tritium readings. The journalists at the conference prodded TEPCO for actual readings due to the graph having wide ranges and exact numbers were not published along side it. The cart appears to show a very clear reading of 150 billion bq per day for tritium at the 2014 rate, not the 1 billion bq per day quoted by TEPCO in the meeting. The other isotope readings quoted by TEPCO appear to be accurate. This big change in the daily tritium release increases the daily total radiation release to the sea as being 157 billion becquerels per day”(10). This reveals a media pattern of soft peddling the news in order to pave the way for the nuclear restarts. Ah, but the plot thickens. Political assassination and murder do happen in Japan, a normally safe and polite society according to world standards. As reported in the article, “The truth about a dengue fever report,” not only are newspapers meant to be quiet about the nuclear restarts while allegedly spreading lies about dengue statistics, but the recent “suicide” of TV Asahi journalist Maki Iwaji is very suspicious. Why would a courageous journalist exposing lies about the thyroid cancer cases in Fukushima suddenly get depressed and kill himself? It sounds far fetched. Apparently Iwaji even warned a colleague that if he suddenly died that it would not have been suicide. Iwaji probably knew that if government-hired thugs had him killed, the police would label it “suicide” as standard procedure (11). In regards to CIA skullduggery do you remember Gary Webb or Michael Hastings? Oh, but I digress. 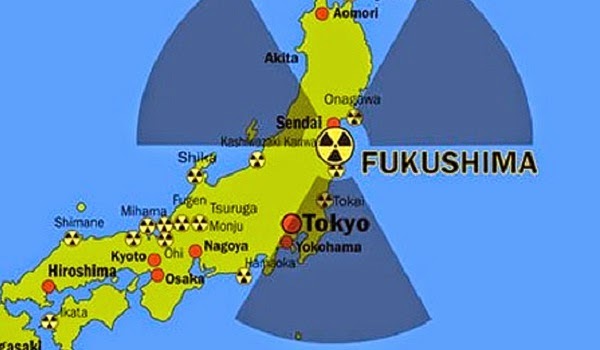 A website that exposes many intrigues is Fukushima Diary, the “Latest News” section is filled with news the mainstream Japanese media ignores or does not dare report. The website owner, Mr. Mochizuki, even reported about himself that “some people were spreading disinformation that I was killed or arrested with no basis” (12). It's all in a day's work for truth-teller Mochizuki in the fight against diabolical deceptions and dirty nuclear politics. To conclude, I would like to share with you a wonderful poem I recently received. It was written at the time of the Fukushima disaster by “Rockpicker,” with permission. * Passamari is Shoshone for the river that runs through my valley. Richard Wilcox is a Tokyo-based teacher and writer who holds a Ph.D. in environmental studies and is a regular contributor to the world's leading website exposing the Fukushima nuclear disaster,Rense.com. He is also a contributor to Activist Post. He is a contributing editor and writer for the book: Fukushima: Dispossession or Denuclearization? (2014). His radio interviews and articles are archived at http://wilcoxrb99.wordpress.com and he can be reached by email for radio or internet podcast interviews to discuss the Fukushima crisis at wilcoxrb2013@gmail.com.